Yoga is sooo great. And Tree pose (above) is a great beginner pose to get your feet wet in the practice. Yoga will make you strong, flexible, and will fill up your peace tank when it is running low. And who doesn’t need that? My sister suggested this one to me years ago, and I’m so glad she did. These are poses most anyone can do, even if you’re stiff and inflexible, have arthritis, are overweight, you name it…you can do it. Peggy’s students in the video are not the typical gumby-skinny-minnies you see in most every yoga DVD. It can be offputting to turn on a beginner yoga DVD and not even be able to do the most basic move (which happened to me many times before). This DVD is different. It was available at my local library (and hopefully yours too), and so I could try for free. I wound up buying this and many of her other DVDs and recommending them to numerous people. It’ll make you feel great! I promise. Looking forward to the end of the alphabet tomorrow, and I hope you’ll join me then. Namaste. Are you reading my mind? 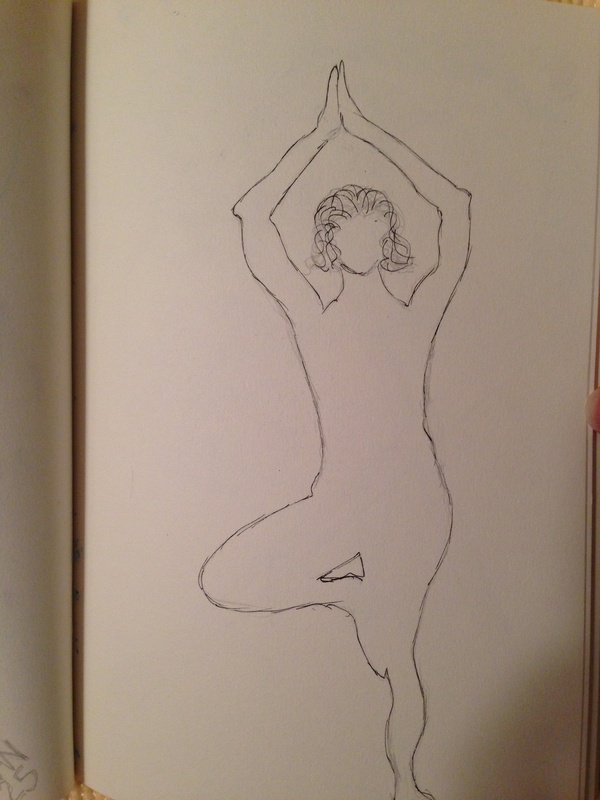 I have been giving thought to yoga and didn’t know where to begin. I will definitely check this out. Thank you! Jodi, you will be so glad you did. Let me know what you think! Her program will get you ready for the next step. There’s a great app to recommend too. She Who Must Not Be Named just gave me those videos to try. I need stretching out in the worst way. I will report later on. Super sketch, I am so very proud fro you! Awesome, Vicky! Can’t wait to hear what you think. And thanks for the sweet comment. Isn’t it great? I think it’s a matter of finding a good level to begin with. I was very inflexible at the beginning. There were lots of beginner videos that were either too strenuous or required too much flexibility or both for me. This DVD was the ticket for me to even begin the practice. Great choice for Y. Thanks for the DVD tip. I do my own watered down version of Yoga every day because I am so much slower than they are on all the internet sessions. I’ll give this one a try. Terrific, Barbara, I hope you love it as much as I do. I enjoy yoga too and tree pose is great. Nice drawing and the zipper too.